More than a quarter of the planet’s surface will become significantly drier if global warming exceeds 2 degrees Celsius, a new study says. Such changes will cause increased threats of drought and forest fires. But limiting global warming to 1.5 degrees Celsius can significantly reduce the proportion of the Earth’s surface that undergoes such changes. Anhydrous is a measure for the dryness of the Earth’s surface, which is calculated on the basis of the volume of precipitation and evaporation. Water is a serious threat, as it can critically affect agriculture, water quality and biodiversity. It can also lead to more droughts and forest fires similar to those now raging in California. The research team has studied the predictions of 27 global climate models to identify areas where a lack of water will significantly change the climate if the global temperature rises 1.5 and 2 degrees above the pre-industrial level. The study predicts that waterlessness will occur on 20-30% of the planet’s surface, when the increase in the average global temperature will reach 2 degrees Celsius. 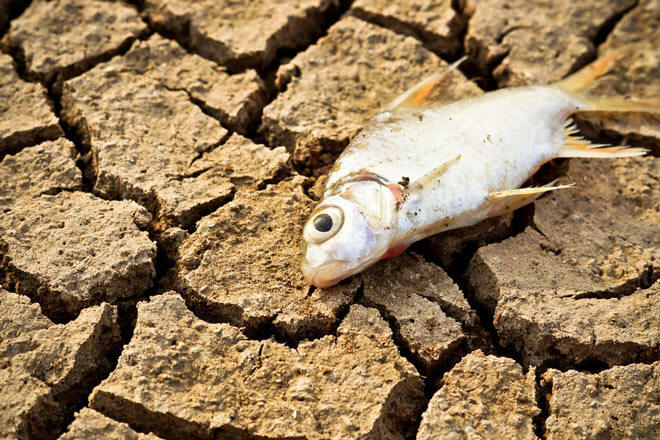 But two-thirds of the affected regions can avoid significant dehydration if the warming is limited to 1.5 degrees Celsius. The world has already warmed by 1 degree. But reducing greenhouse gas emissions in the atmosphere to keep global warming below 1.5-2 degrees Celsius will reduce the likelihood of significant anemia, which is manifested in many parts of the world. The strength of droughts increased throughout the Mediterranean, in southern Africa and on the east coast of Australia throughout the 20th century. The semi-arid regions of Mexico, Brazil, South Africa and Australia were confronted with desertification for some time. Regions of the world that will get the most benefits, if the rise in temperature is kept 1.5 degrees – Southeast Asia, Southern Europe, South Africa, Central America and South Australia, where today live more than 20% of the world population.